“Established in 1996, the eir Spiders are now in their 20th year making them the longest standing and most prestigious internet awards in Ireland. They reward Irish businesses and community organisations for their creativity and innovation and provide an important opportunity to recognise and showcase online excellence. The eir Spider awards are considered an important benchmark for distinction and excellence in web-based business strategies. Previous winners have been on the cutting edge of their chosen fields and have since gone onto great success in their respective industries. Even those who don’t win have benefited massively from their involvement in Ireland’s premier digital awards through receiving feedback on their projects from our panel of judges made up of industry experts. Over the past year and a half, we’ve worked with so many different companies and on a wide range of amazing projects which we’d never have dreamed of doing within such a short space of time. It’s the icing on the cake that we’ve been nominated for this award and we’re delighted to even get to this early stage. When we started this agency the main goals were to create something different, to produce great quality work and to most importantly enjoy what we do. We feel we’ve done just that and would like to thank everyone who has helped and worked with us since the beginning. 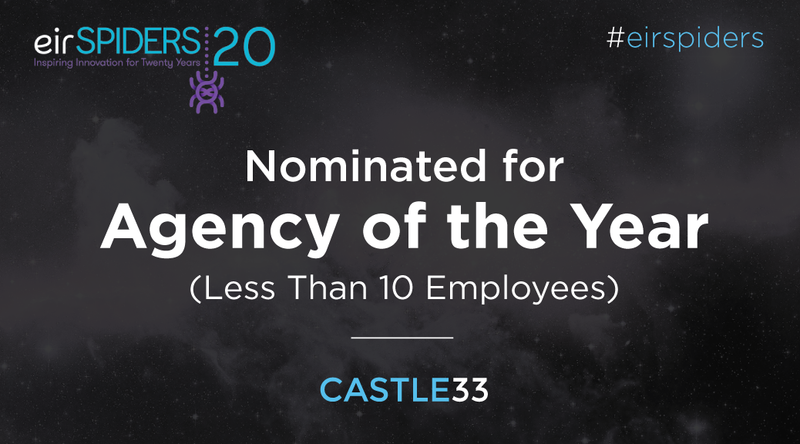 Without you we wouldn’t be where we are – and we definitely wouldn’t be in the running for Agency of the Year. Thank you all, and we’ll keep you posted on how we get on!